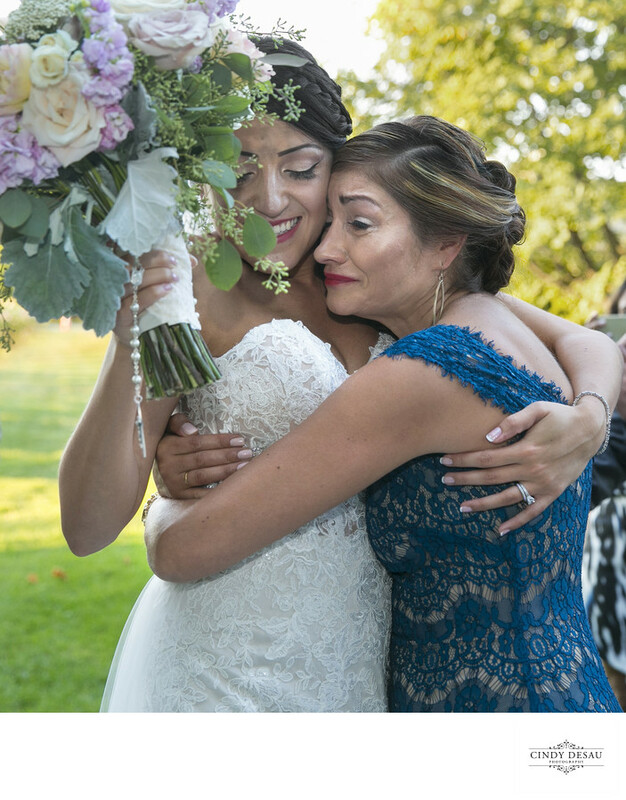 Immediately after watching her daughter get married in this Crossing Vineyards ceremony, this bride’s mom runs over to give her the biggest embrace. This mother of the bride was obviously very emotional. The expression on the bride’s face is one of happiness and contentment, which you can see behind the bridal bouquet she is holding. Ideally, it would be nice if the bouquet wasn’t covering part of her face, but this is a spontaneous and natural wedding photograph. As a photojournalist, I would rather have the real moment as it unfolds before me. Location: 1853 Wrightstown Road, Newtown, Pensylvania 18940.